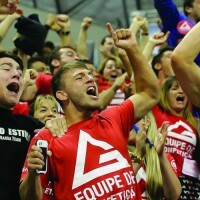 Don't Overlook This Important Part of Your Jiu-jitsu! 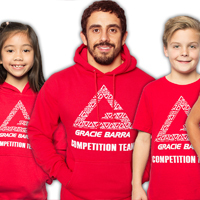 Many of the articles that I write for Gracie Barra originate from conversations and questions that take place in the school. Several completely new students showed up to class and the weeks curriculum was escaping bottom side control. I demonstrated several techniques that would enable a smaller person to defend themselves on the bottom and escape against a larger UNTRAINED opponent. There is a significant difference between how you might deal with an UNtrained opponent as opposed to one of your training partners. The untrained opponent is not trying to do jiu-jitsu to you! They are not trying a technical guard pass with proper posture and base. They don’t know any of those strategies or techniques. What an untrained opponent DOES do is grab your head and squeeze it as hard as they can and try to smash you into the mat! They try bizarre moves, mostly based off of grabbing your head with 100% strength. And this can be surprising to deal with as trained students of jiu-jitsu will not try to do these things to you. In a roll in your academy, you are both playing by an assumed set of rules – that you will not try to Americana lock me from inside my guard for example. A student of bjj accustomed to the rules of the academy can be caught off guard and overwhelmed by these bizarre types of attacks. 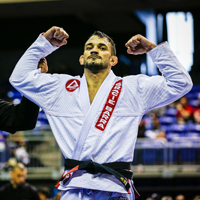 I have observed athletes from other sports come to try bjj and due to a combination of their superior strength and size and raw aggression, give a surprisingly difficult time to some students who have been training a while. * Rugby players are especially tough in this regard! Before the student of bjj starts to learn advanced techniques of sports jiu-jitsu – ex. spider guards sweeps, it is important to them to learn how to deal with these types of attacks. Most likely, if you are ever going to have to use your jiu-jitsu training in a REAL life self defense situation, it will be dealing with a small number of these types of attacks. 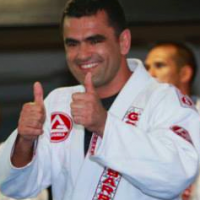 Master Carlos Gracie Jr. believes that students should have a complete jiu-jitsu including an understanding of self defense. I showed some lighter female students how to use the “Elevator sweep” to get a larger opponent off of them. The opponent on top is inside their guard and pressuring / squeezing the head tightly. 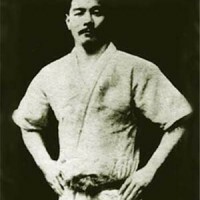 An experienced purple belt was puzzled at the top position and said that they never used that top position inside the guard. It is not a wise strategy when you are playing bjj against an experienced training partner who can take your back. BUT a new student is NOT trying to do jiu-jitsu to you! They operating on intensity and instinct! 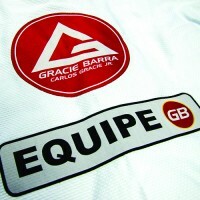 The student of bjj must spend some training time learning to deal with and defend attacks by UNTRAINED opponents. 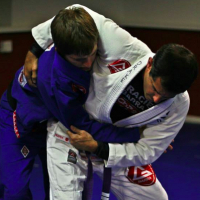 read also: Self defense vs. sports bjj : How Important is Self Defense Training in BJJ?